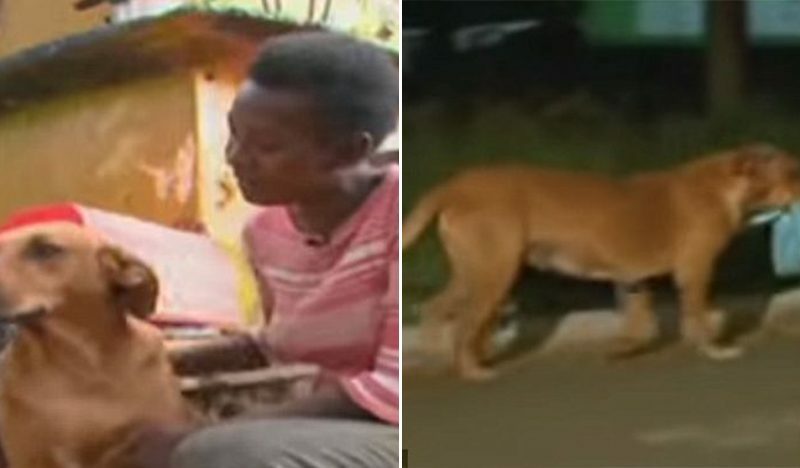 The story of the selfless dog ‘Lilica’ and her every night 4-mile route journey to feed her extended animal family in a Brazilian junkyard touched the heart of many people. Lucia Helena De Souza, teacher and a dog lover first met Lilica the dog years ago and she has been feeding her ever since. One day, she noticed that the dog didn’t finish the food she prepared and just stared at the bag of food. After that, Lilica grabbed the food in the bag and ran, which cause the food to spill along her way. The dog’s strange behavior made Lucia wonder what was really going on, until her neighbor explained to her about Lilica’s action. “I realized that she ate and then stared at what was in the bag,’ Lucia said. According to her neighbor, the reason why the dog kept staring at the bag of food because she might want to take the food back with her. 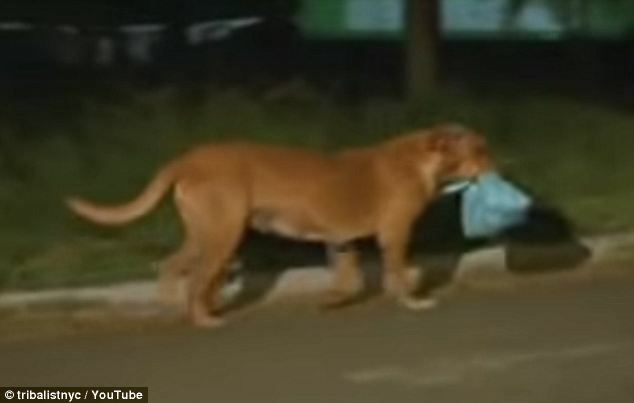 Since then, the dog comes to her house at 9.30 pm for her meal and when Lilica was done eating her part, Lucia ties up the bag and the dog will carry the bag of food with her. “From then on, that’s what how we did it,” Lucia said. 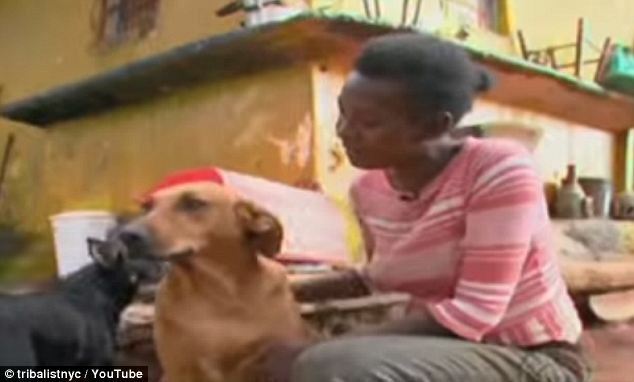 One night, Lucia has decided to follow Lilica and found out the she has been bringing the bag of food to her junkyard which she shares with other stray animals including a dog and a cat, a mule, and even chickens. 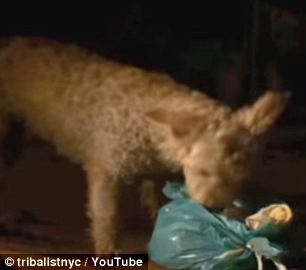 As soon as she drops the bag to the ground when she comes back from Lucia’s place, her animal friends share the bag of food together. 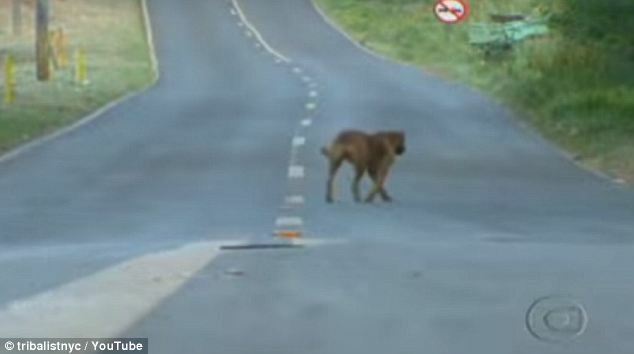 The brilliant dog has been traveling 6 kilometers every day, risking her life crossing the highways between Lucia’s and Neile Vania Antonio’s junkyard where she was abandoned as a puppy a long time ago. “An animal sharing things with other animals is a lesson. A lesson for us,” Neile Vania said. For the last three years, Lucia has volunteered to provide Lilica and her animal friends with their everyday meal. “I don’t travel, I don’t go places and stay for too long because of her.. because I know she relies on me, so it’s a commitment that I have with her, and a commitment the she has with me too. cause she comes everyday,” Lucia said.